In the middle of May we received our last snow storm of the season. During the night it coated Rocky Mountain National Park in a fresh white blanket. As the dawn approached, the clouds began to lift. 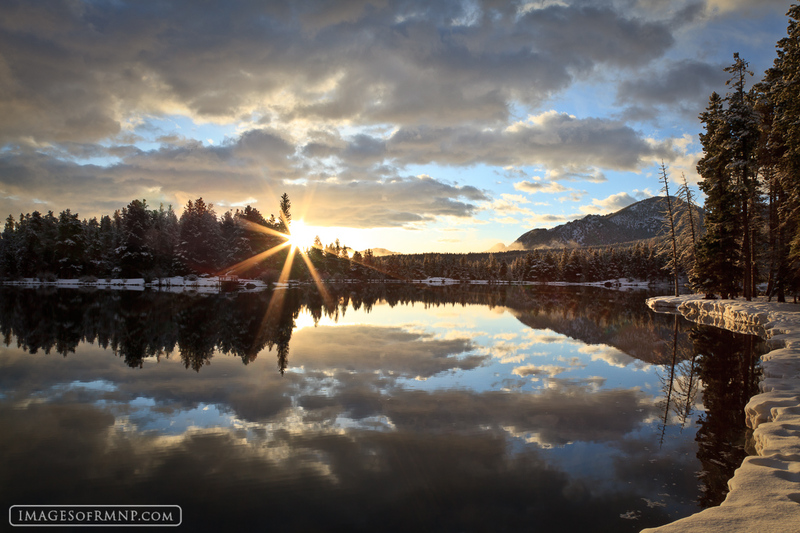 The air was so calm that there was a nearly perfect reflection in Sprague lake. Then, the sun crested the trees and my heart leapt with excitement. It was the perfect start to a new day! Photo © copyright by Erik Stensland.